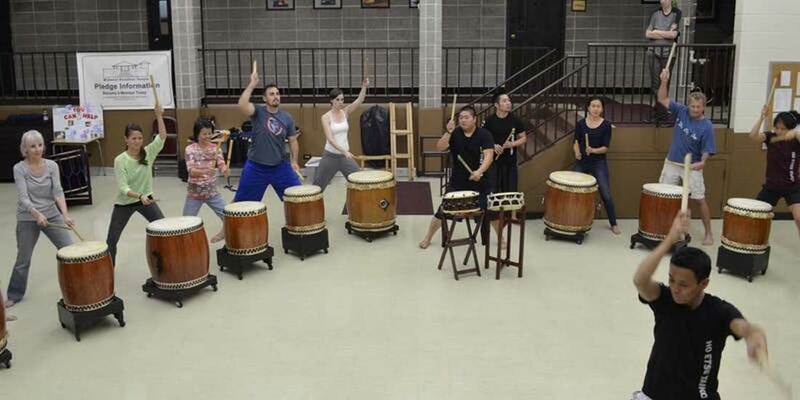 Register now for Ho Etsu Taiko’s Taiko Foundation II class which consists of 5 (five) Thursday evening sessions starting on January 10, 2019 (students should be able to attend at least 4 of the 5 sessions). While no previous taiko experience is required, it is recommended that you’ve taken a Beginner’s class with us prior to signing up for this course. We will review some basic stance and hitting points in week 1 and week 2, pivoting toward song learning in week 3 and 4 as we work toward a mini-recital for friends and family during the 2nd half of our final class. Paying online will incur Eventbrite’s processing fee (approx. 7%). You can avoid this fee by sending a check for the $150 class fee to the following address: Ho Etsu Taiko, 435 W Menomonee, Chicago IL 60614. If you have any questions contact us at info@hoetsu.com.